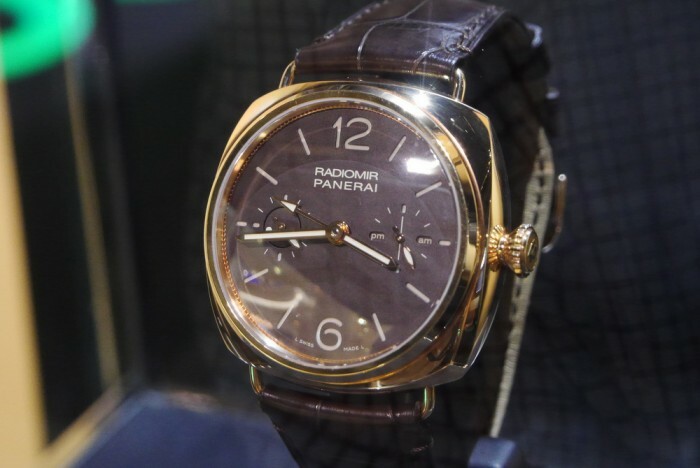 The prototypical Panerai is easily recognised from a distance, thanks in part to the iconic crown guard flanking the case. This feature was added as a revision to the earlier “Radomir”, with the intention of adding a crown protecting bridge that would prevent water from entering the case. This shape that these two elements formed would come together to create the iconic “Luminor” case, an evolutionary upgrade to the “Radomir” and a further step in protection against water damage for the divers of the Royal Italian Navy. 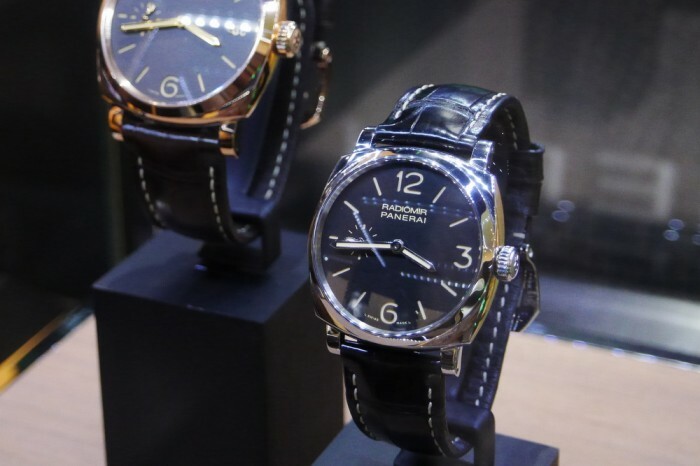 While the iconic crown guard acts as a useful identifier, especially if only the shape of the watch is considered, something less realised, when taking into account the elements that make up a Panerai, is the unique dial design. 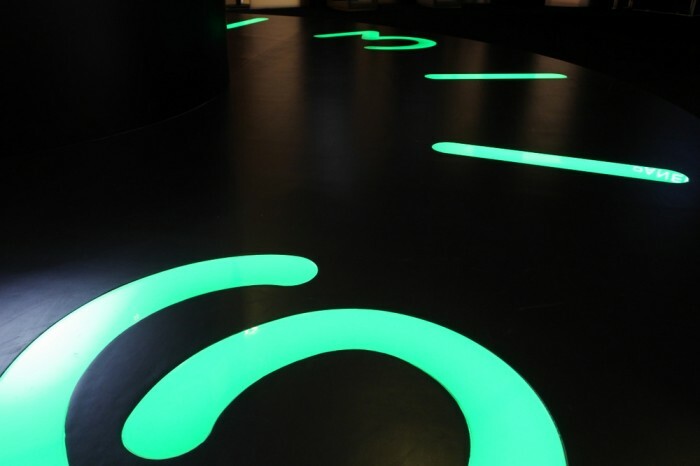 It is a sandwich dial with cut outs for the various markers from which the luminous paint applied to the lower layer is allowed to glow through. 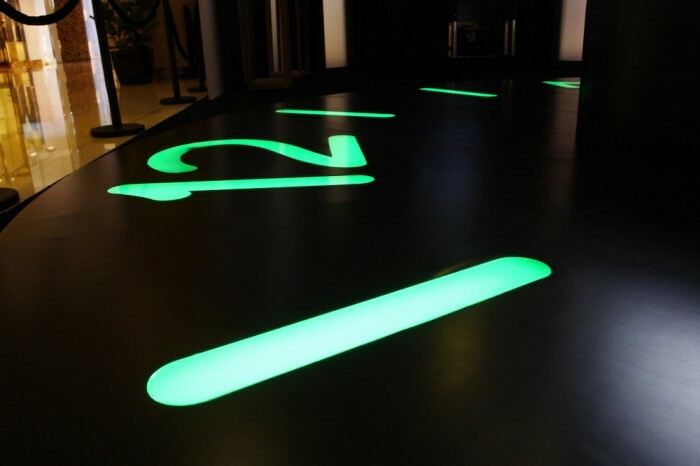 Various versions are available, but the most basic design, is the 3,6,9,12 layout, with plain indexes marking the rest of the hours. Simple and beautiful, this is the basic design that makes up the face of watch, with variations accounting for the placement of complications such as a date display or small seconds. 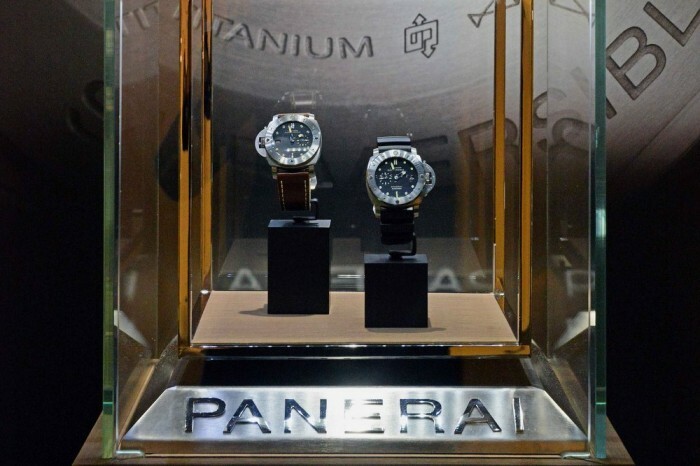 At the recently held exhibition erected at the atrium of Ion Orchard, Panerai decided to showcase this element, making it the centrepiece, showing, with a historical timeline, how the dial came about, and the variations available throughout the range such as the California and SLC dials. 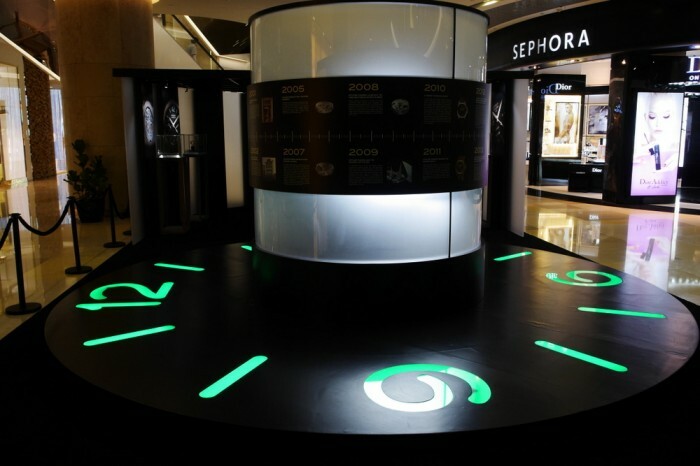 At a designated corner of the exhibition, a watchmaker provided a live, interactive demonstration of movement assembly. Also, there part of the exhibition, a special display showing the stages of a Luminor case in ceramic as it goes through the production process. 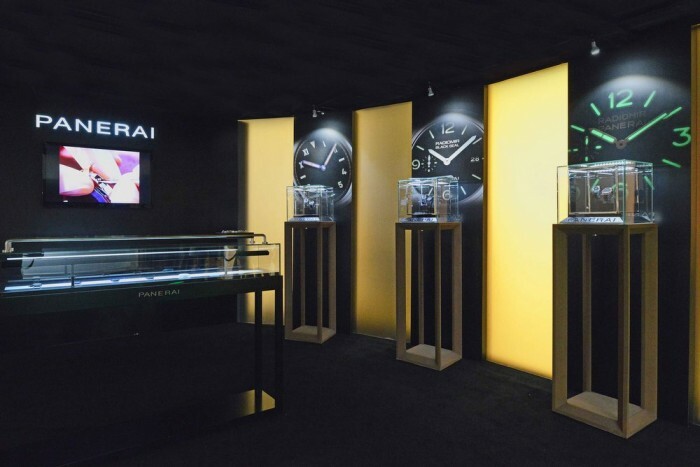 There was no mistaking however what the elegant and luxurious displays were for, and visitors only had to look at the monumental and luminous Officine Panerai dial on the floor to know this. 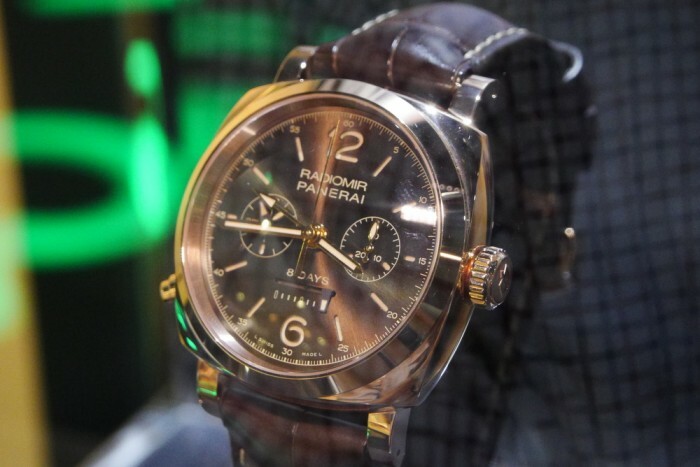 Certainly a view that has greeted every Panerai owner when he looks at his watch, only this time enlarged many times. 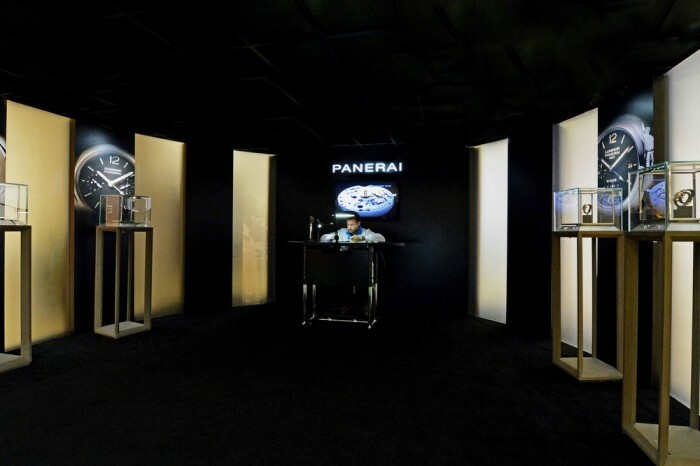 Truly “The Face Of Time” then for many Panerai owners and incidentally as well, the name of the exhibition. 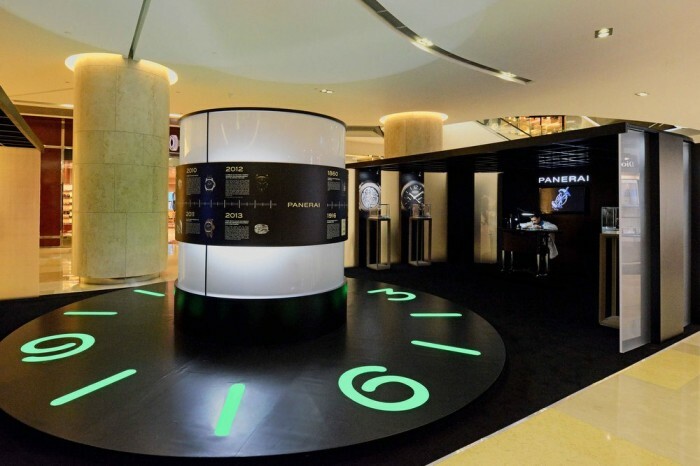 Of note as well, the glowing numerals and markets on the floor, one of the best known attributes of the Panerai dial. 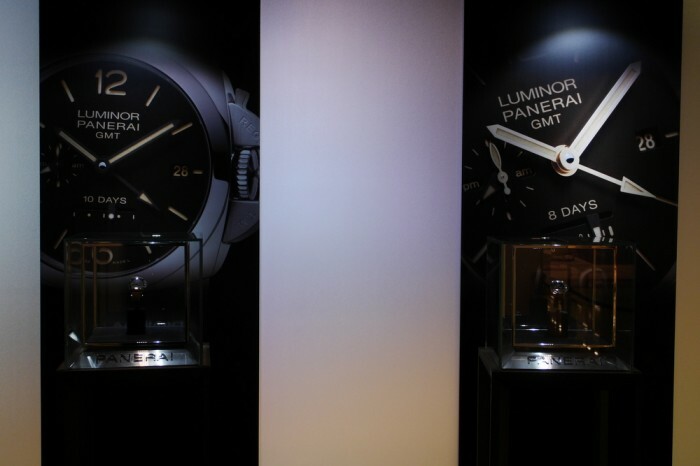 The first Panerai’s were of course used by naval divers who needed to be able to see the time underwater. The first version, the Radiomir model utilised a radium-based powder to illuminate the dials of their timepieces, (hence the name) This was outmoded by the Luminor model which employed a new Tritium (hydrogen isotope) based, self-luminous substance. 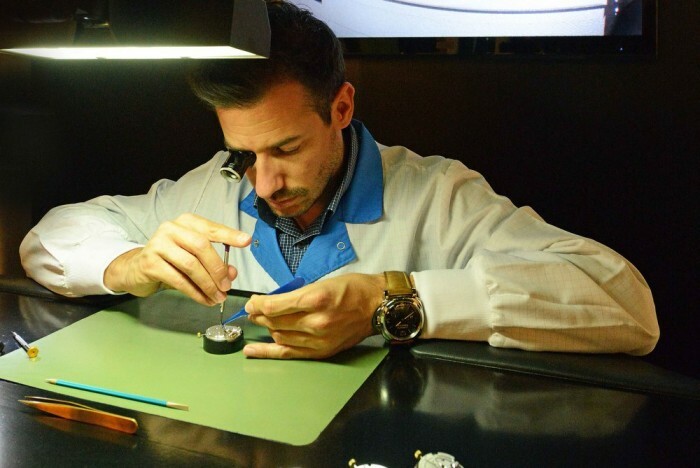 Even though the compound used for illumination purposes has improve along the years, it is still the timeless design of the dial has remained largely unchanged since 1936.